The Schönbuch Hesperide Beautybox is a make up and storage box perfect for mascara, make up brushes, lipsticks, blusher, eyeliner and even jewellery. Inside the Beautybox lid is a mirror for applying the makeup contained within. 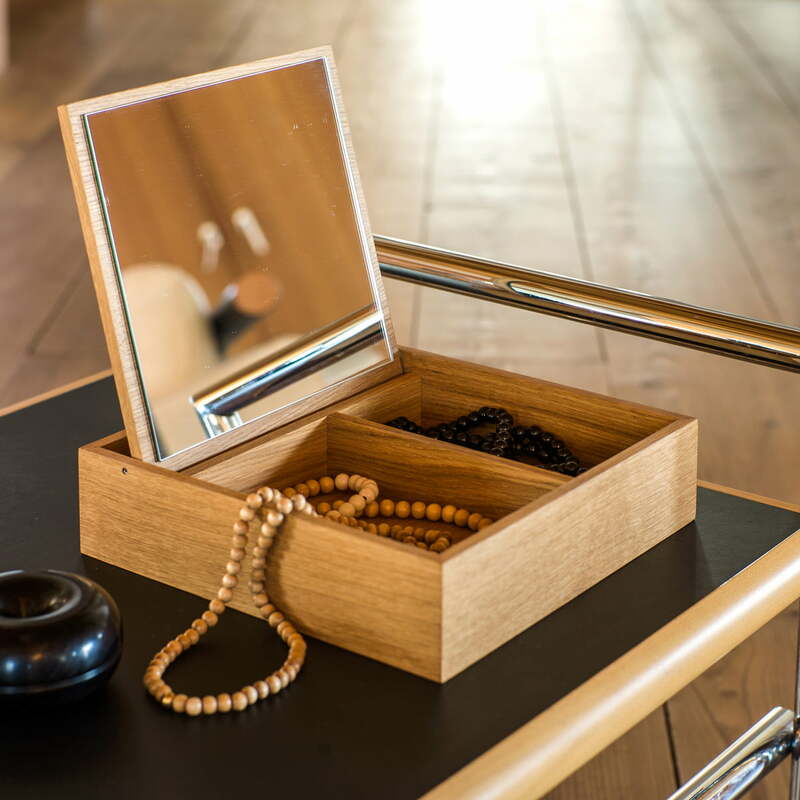 The Beautybox is also ideal for storing jewellery and beloved trinkets. Designed by Carsten Gollnick, the Beautybox can also be home to jewellery, lucky charms, keys, a lock from baby's first haircut and much more. 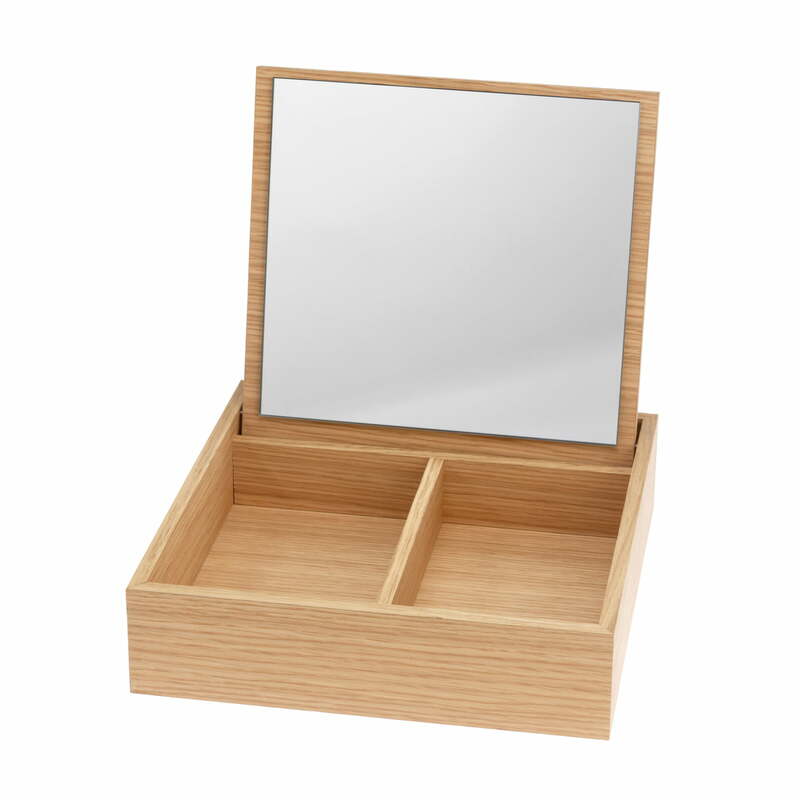 Schönbuch finishes the Beautybox form the Hesperide Collection in oiled oak or oiled walnut wood. There is a leather loop on the outside for opening the lid, which completes the beautiful design. 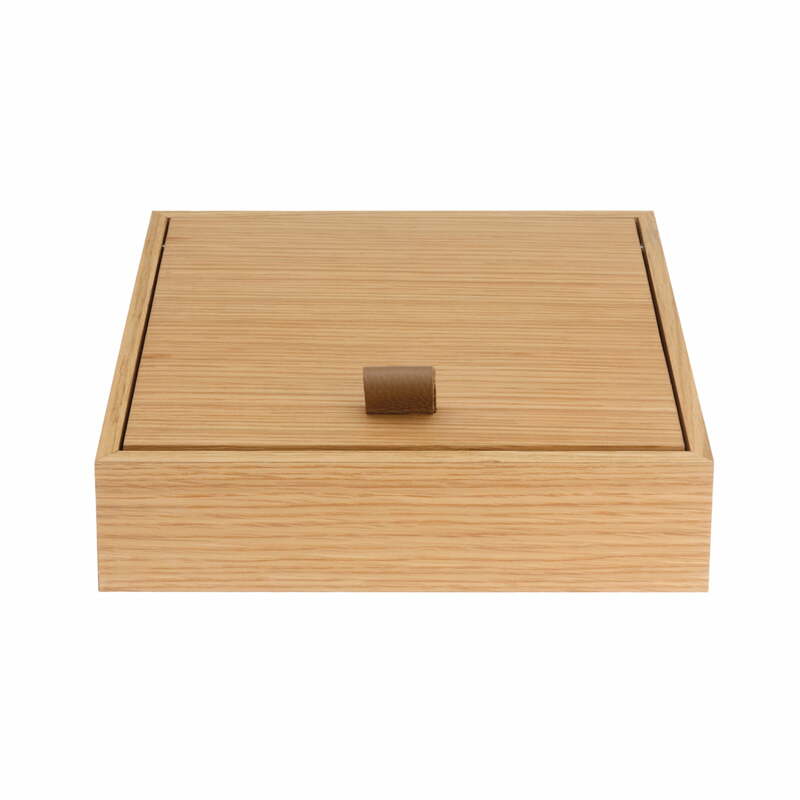 Due to its simplicity and the materials used, the small box fits into almost any room and style.